Includes: per person rate for a whole day tour in Tarlac experience with round trip transfers from Manila! Experience the magnificent structures built in the province of Tarlac.. One is Monasterio de Tarlac is a monastery on top of Mount Resurrection . 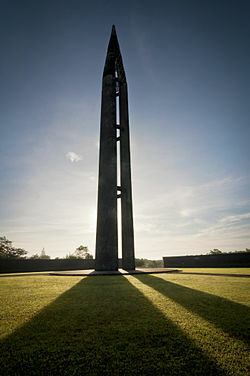 The Capas National Shrine in barangay Cristo Rey, Capas, Tarlac, Philippines was built by the Philippine government as a memorial to Allied soldiers who died at Camp O'Donnell at the end of the Bataan Death March during the Second World War.